State of emergency extended in Georgia. 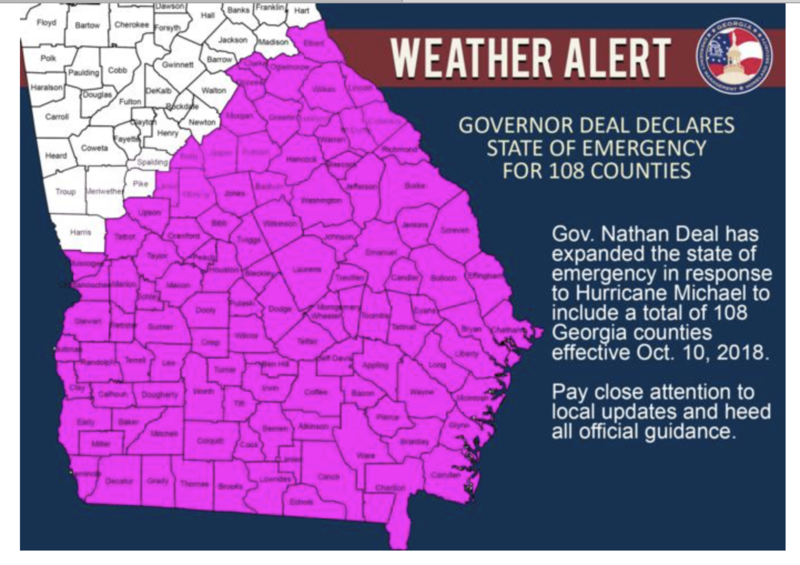 Georgia Governor Nathan Deal has extended the state of emergency he declared as Hurricane Michael made its way toward the state. Deal first announced the state of emergency on October 9 before Hurricane Michael made landfall in Florida. The 108 counties included in the declaration cover much of South and Central Georgia. The state of emergency will now run through November 6 as communities across Georgia recover.